Each episode of the local soap opera known as the Planning Commission strings together a series of highly charged emotional moments. But unlike the pearls in a dowager’s necklace, the beads on this string are lumpy and misshapen, the products of an oyster bed run amok. Take an item on the agenda for November 15, which involved the proposed demolition of a service station at 1800 San Jose Avenue and the construction of two four-story nine-unit residential buildings in its place. Imagine: these eighteen units will each contain three legal bedrooms, enough space for a real family home. Imagine: three-bedroom units scheduled to sell for something like $425,000, a price — it was argued — well within the grasp of many two-income families. If any project deserved smooth sailing, surely this one did. Or maybe it deserved to become the poster child for our city’s failed housing policies. Commission president Anita Theoharis and new commission member Myrna Lim thought so. And they rarely agree on much of anything. If you’ve ever watched the commission in action, you know that Lim is slim, with long black hair and a dramatic sense of style. At the meeting in question, she wore a bright yellow jacket, a sharp contrast to Theoharis’s habitual black. Lim is the self-appointed populist of the group, just as she was during her campaign for supervisor, while Theoharis, stocky and solid, plays the part of the soft-spoken Greek matriarch, concerned but carefully hard-headed. The commission had already voted on the project on August 23; the present discussion was over a request by the developer to modify the original plan. The original project elicited lengthy neighborhood testimony, both pro and con. At four stories, it was out of scale for its surroundings; it would increase traffic and decrease sunlight — the usual responses of people accustomed to living in an area composed one- and two-story houses. 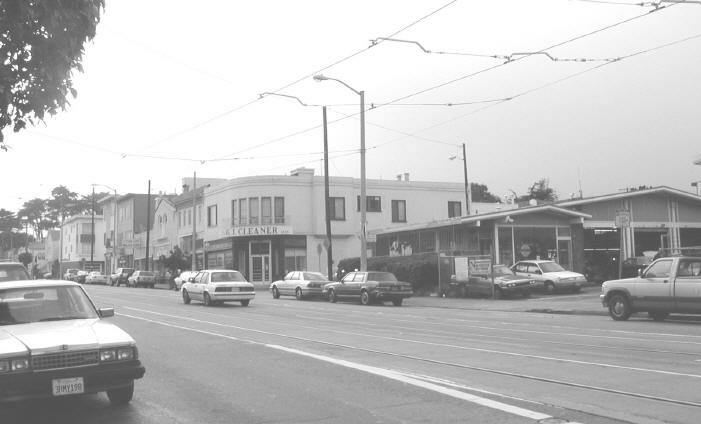 On the other hand, both the executive committee of the New Mission Terrace Improvement Association and the San Francisco Housing Action Coalition urged approval. But the units were intended to be rented or sold at market rate, and them’s fighting words in this fair city. After much debate, the commission heeded a recommendation by the Planning Department staff and voted to approve the project if it included three affordable units. That was on August 23. On November 15 the developer returned, requesting a “modification” of the original “conditional use authorization.” Turned out he couldn’t make the financial numbers work with three affordable units; could he build just two instead? Again, the neighbors testified. Again, the commissioners wrangled. Lim suggested that the sponsor might have gotten himself in over his head. “Has escrow on the land sale closed?” she asked, amazed that a bank would willingly offer a multi-million dollar loan to develop the former site of a service station. She argued passionately against the new proposal: the commission, she said, had not required the third affordable unit just to burden the sponsor. It was seeking a balance between “the needs of the project sponsor to make money and the sacrifices of the community” in terms of its traditional character. If the commissioners failed to negotiate this kind of balance between public and private interests, the city of San Francisco would continue to have the failed housing policies that had plagued it for the past ten years. Theoharis responded in emotional kind, bemoaning the absence of testimony from the “hardworking 18 middle-income and two lower-income families who would have had an opportunity to purchase housing” if it weren’t for “the fuzzy notion that three affordable units are better than two.” It was this kind of impractical discussion, she added, that killed construction projects, in a city where housing policies had failed for not ten but closer to thirty years. In the end, the commission approved the developer’s request. If all goes well and he manages to close escrow as planned, the city will soon be the proud site of eighteen more units of badly needed housing. But oh, the rancor attached to the project. And it was all so unnecessary. It’s time to stop using the word “affordable” loosely. Maybe it’s time to retire the word completely, because it’s become dangerously meaningless, referring to housing that is either within the means of very low-income people or something that is financially feasible for people of higher income as well. 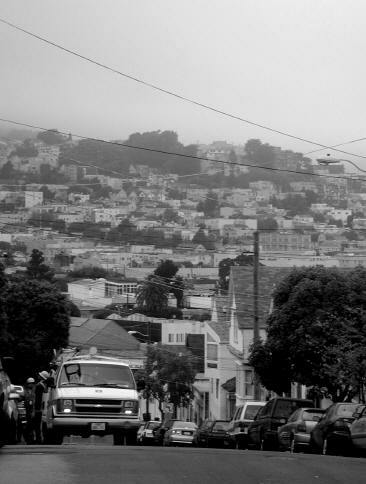 In San Francisco, both groups are scrambling to find a place to live. Both are at risk of leaving and moving elsewhere. It’s time for the Planning Commission to plan. The data are available. Look at who needs what and put together a step-by-step plan for how to provide it. Spell out the trade-offs, and the reasons behind them. That’s your job. And if you don’t do it, don’t complain if someone else — the Board of Supervisors, for example — does it for you.